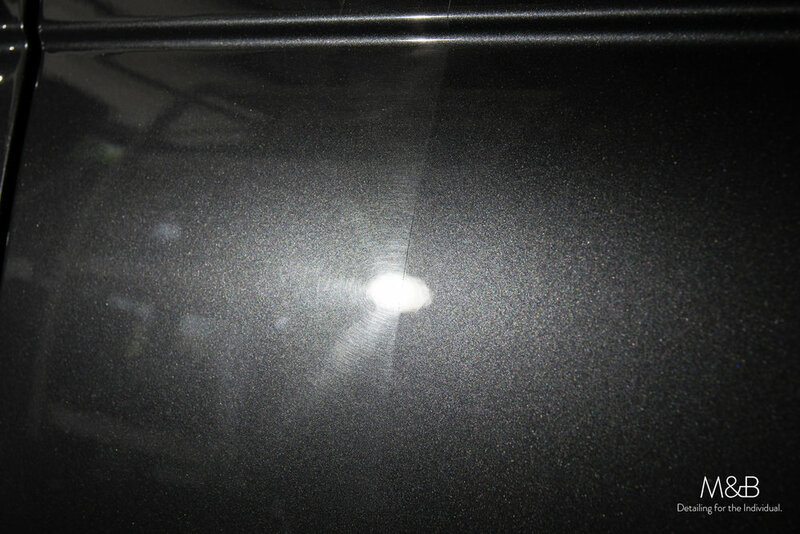 "I'd like a paint correction and ceramic coating on my e46 BMW..."
Michael was speaking my native language(BMW) within the first sentence, and the way he spoke with such enthusiasm let me know I was dealing with someone who appreciates a fine automobile and a pleasant driving experience. 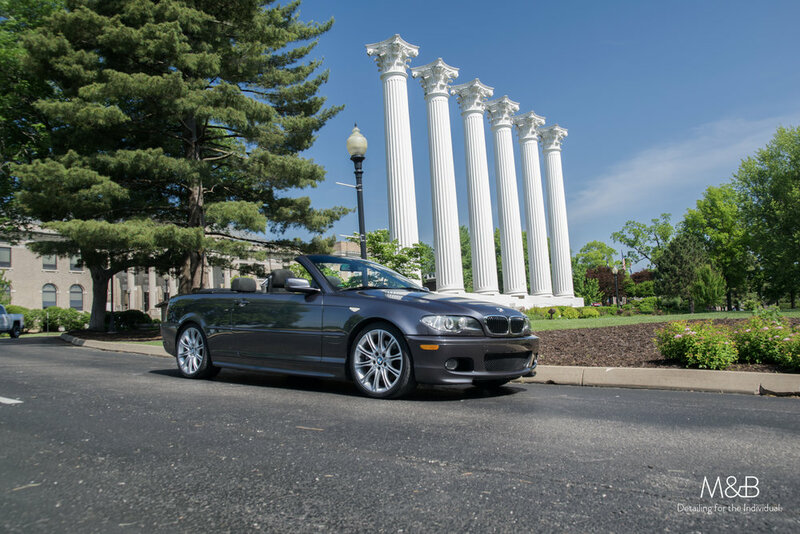 We briefly chatted about BMWs before establishing a date for an estimate. We discussed his goals for the vehicle to see which of our products and services would best fit. 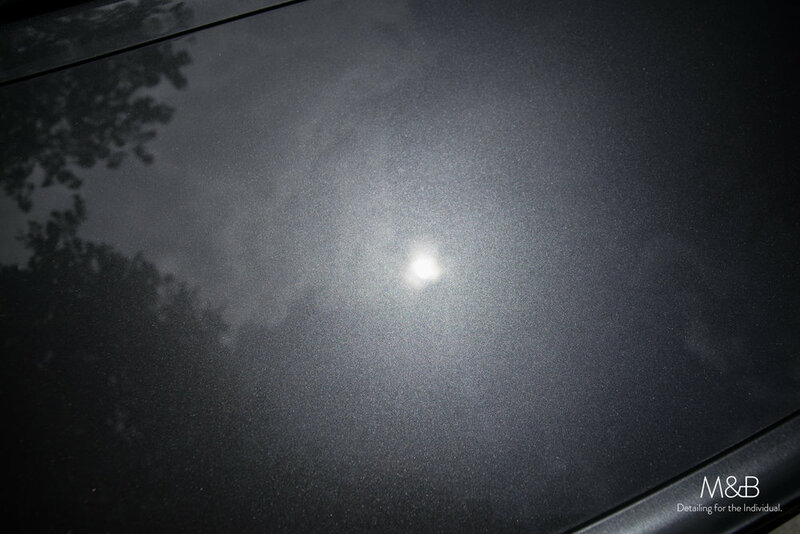 It was decided that a paint correction, 2-year coating, glass coating, and interior coating (it's alcantara!) would well suit his needs. I arrive bright and early the following week to begin! 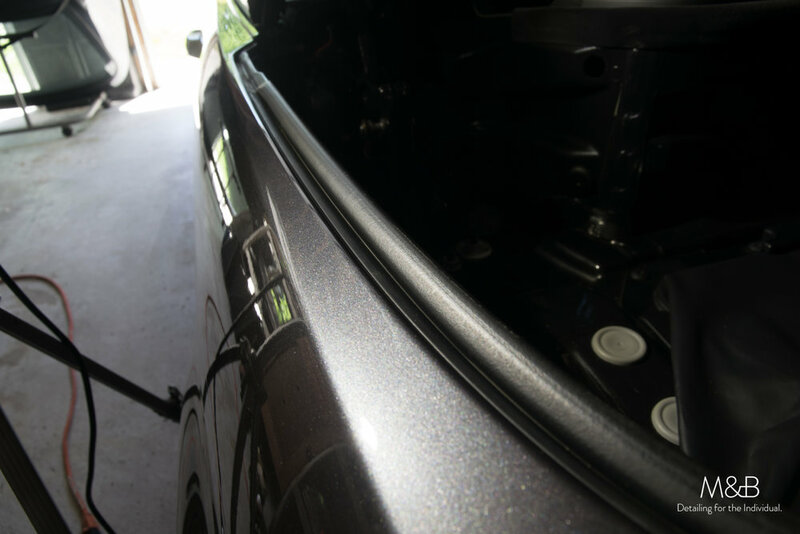 Before: Notice the swirl marks covering a lot of the paint's beauty. After: clarity! No obstruction to the metallic flakes beneath. After doing a test panel, I had my game plan laid out. 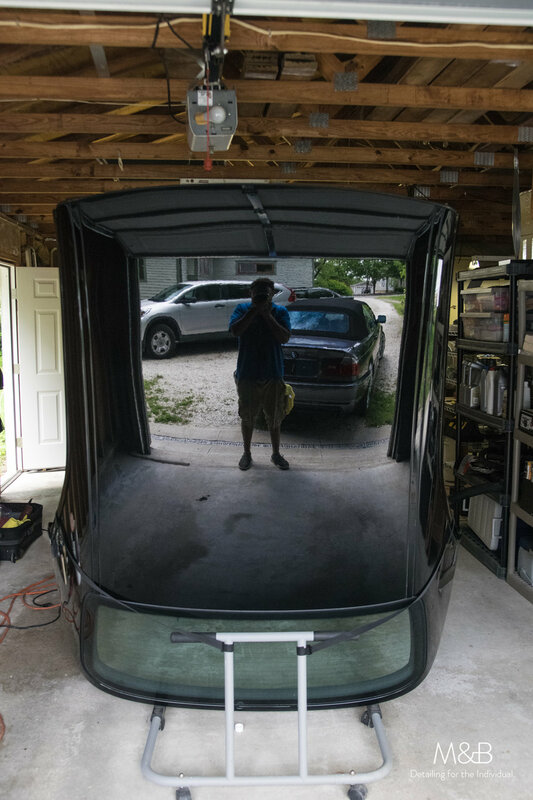 I continued on about the side of the vehicle and onto the trunk lid. IGL's new compound/polish lineup and pads are no joke! The day approached high meridian and all of this work (not to mention Missouri humidity!) had me parched. Michael was kind enough to share with me some of his favorite eateries around town, so I decided to try one out! Into the brick district of Fulton. Despite having grown up in Missouri, I'd never taken the time to explore Fulton. The downtown streets are adorned classic brick roads, a 360° view of beautiful architecture (the church was something to marvel at). All of the buildings were radiant with character and history. I opted for Beks, a restaurant with a broad menu and an atmosphere perfectly balanced of retro and modern. The "Beks Burger" was phenomenal, juices oozing from every bite and the fries made an excellent pairing, BBQ sauce being a necessity on both! With a full stomach, I was ready to get back to work. Upon returning, I decided to capitalize on the high sun for a good, old fashioned sun test. 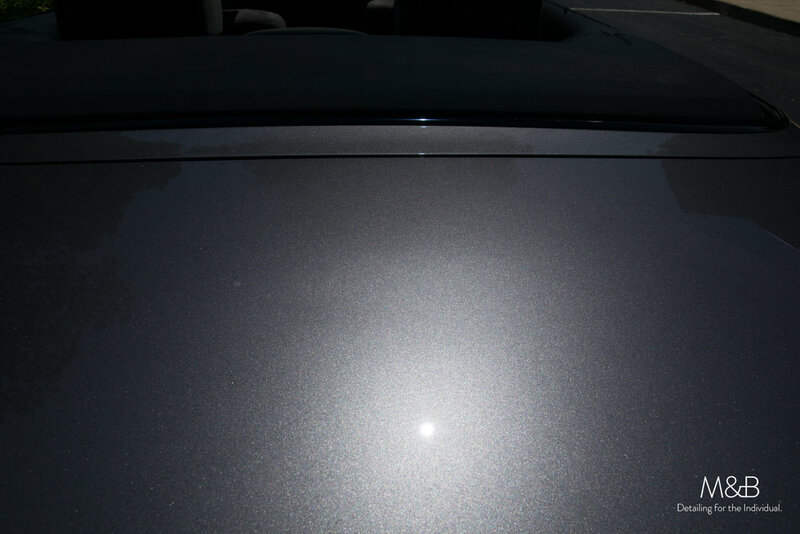 I do sun tests periodically throughout any correction or coating service as the sun is the greatest form of scrutiny against paintwork - the sun tells all. If there are any swirls left, the sun will show it. I'd say it passed! While the car was out, I figured why not go ahead and attack the top while I had the room. Super pleased with it! Went ahead and continued on chasing perfection on the rest of the car into the afternoon. Correction continued for the rest of the day. Compounding can get messy. I made sure to pop the top to reveal any cracks or crevices that dust could have fallen into and rectified any trouble areas. Correction complete! 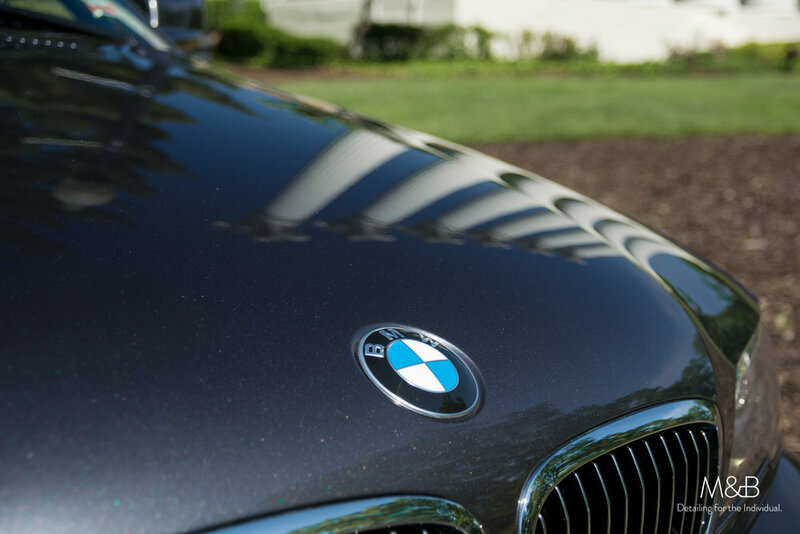 The paint, like many BMWs of the era, has a special undertone to it's shadow. This car has a lavender/blue shadow to it that is rather hard to capture, but has no trouble captivating you in person. 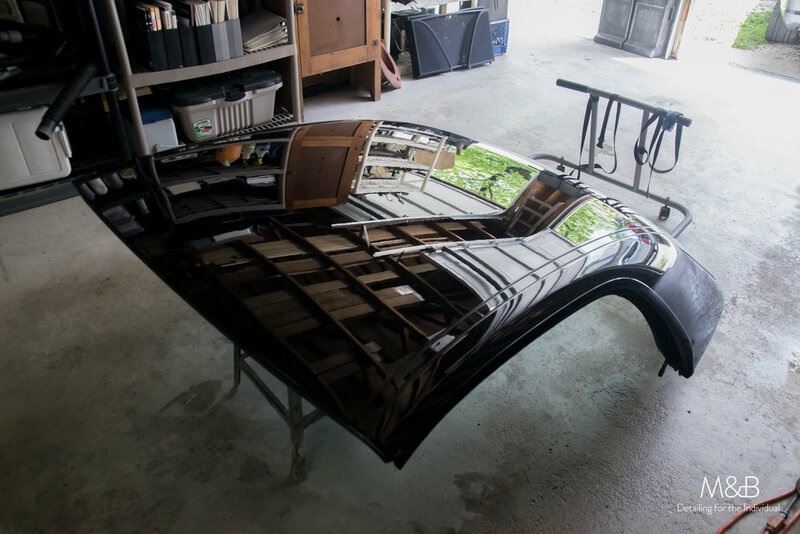 Once the first layer of Quartz was applied and was curing, I turned my attention to the interior and glass for cleaning and coating. The second layer was applied, cured and leveled. The tires were dressed with a single layer of IGL Tyre, and any extra issues about the vehicle were addressed. 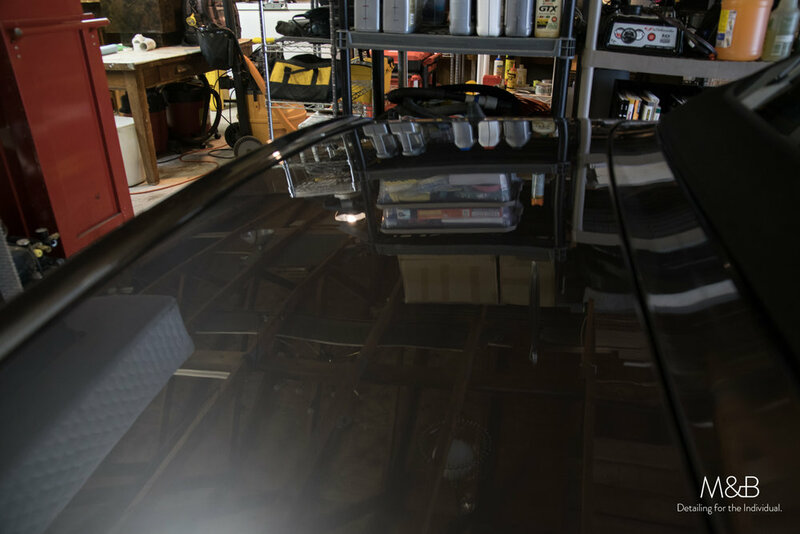 I'm excited for Michael to begin truly enjoying his freshly coated vehicle, free of worry about chemical etching, inclement weather, interior spills - He can now spend more time enjoying the vehicle and less worrying about its appearance. Peace of mind is priceless. M&B has once again strengthened an emotional bond between car & driver, between man and machine, which is my sole purpose with this company. 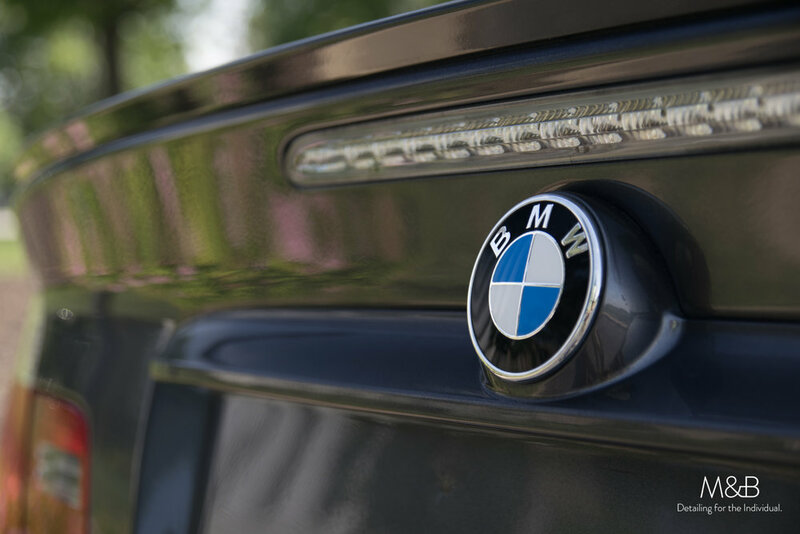 I always aim for my clients to fall in love, or back in love with their vehicles, to take them back to when and why they bought it, how excited they were after signing the title... I am always thrilled when I can help someone else reach such joy and happiness with their own vehicle; it is truly a unique and special feeling. 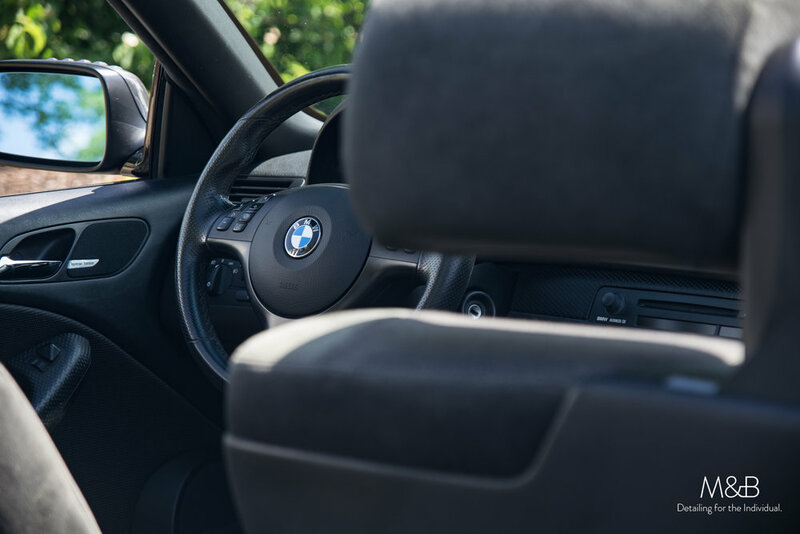 I believe that everyone should enjoy the driving experience and do my best to ensure that every member of the M&B Family does.